Prophets, such as Nostradamus, Stormberger, and others introduced in this new and topical book by world-renowned prophecy scholar John Hogue, accurately dated, detailed and forecast the coming of the First, the Second, and finally a Third World War. 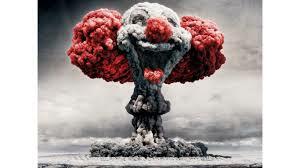 They never foresaw the last cold war ending in Armageddon; yet, they do predict a new cold war between America and Russia in our future would merely be a short prelude to the threat of a civilization-ending nuclear war that no one saw coming. The current and gathering crisis pitting the United States and the European Union against the Russian Federation over Ukraine may have rewound the doomsday clock and started it ticking out dangerous days ahead of escalating, cold war brinksmanship. World leaders, unmindful of the consequences, are carelessly ramping up the tension while the media, especially in the West, are misinforming the public, becoming echo chambers for governments fighting an information war where the first casualty is truth. The prophets of world wars see what could come of this. 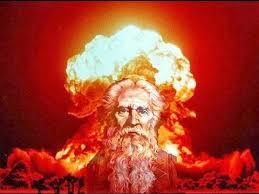 With open eyes the people of the world will “walk into these great catastrophes,” so they say. The danger begins at a time when America and Russia display eagles as their national totems. In Washington, the capital of the land of the bald eagle, neoconservatives have married their hegemonic ambitions with liberal exceptionalists in the Obama administration. They intend to bring back into business a cold war military industrial complex that could perpetuate a nuclear standoff with Vladimir Putin and his oligarchs in power in Moscow under the restored banner of the double-headed eagle of the Czars as Russia’s national totem. A cold war mindset has returned. Shortly afterwards, perhaps less than a few years from now, the prophets warn that America and Russia will go to war and two-thirds of the human race could be destroyed in one terrible night. 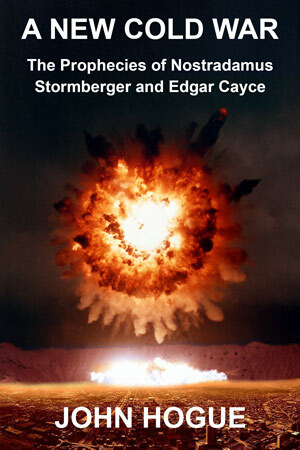 A NEW COLD WAR: The Prophecies of Nostradamus, Stormberger and Edgar Cayce, sounds a prophetic alarm while there’s still time to stop the Third World War from happening. Explore these prophecies. Let them open your eyes wide with an awareness that can yet save humanity from walking, with eyes wide shut, into its greatest catastrophe. America and Russia have another destiny. Even now, they can become friends bringing peace on Earth. 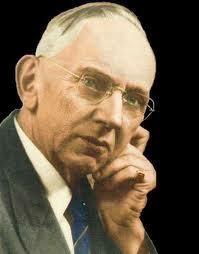 America’s best-known twentieth-century prophet, Edgar Cayce (d. 1945), saw that hopeful future where Russia would evolve beyond communism and become the “Hope of the World” with the help and support of American friendship, not American arrogance and hypocrisy. Russia needs America to renew its constitutional tenets and lead by example. This book of prophecy aims to help inform readers of the foreseen dangers as well as the solutions so that they can make a reality that promised Golden Age of Peace. I have known John Hogue for fifteen years. If John Hogue’s predictions weren’t so uncannily accurate, they’d be uncannily terrifying. Or—no, wait a minute. Uh-oh, they’re both. Better give his book a careful read. Real careful. I am very much looking forward to your new book. 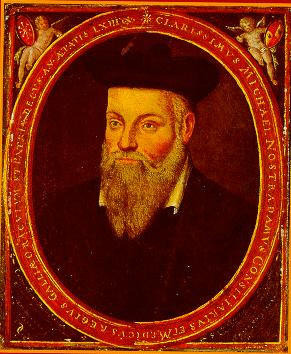 Here in Europe there is a slight emphasis on another prophecy of Nostradamus, the coming of the new French King, the one of Bourbon who will succeed the temporarily ‘Orleans’ president in France. Why is it that so few authors about prophecy simply just forget to mention or even focus on this new King who will bring order and peace in Europe? This man is not the so called antichrist, as the antichrist is just about to come right after the unification of religion, which is just not near right now. Prophesy is fine to show the path of destiny. But it cant end the path of destiny. As per my spiritual discipline, we are almost at the end of the 5000 years cycle of human history. After 20 years, we will have the golden age of Satyug, with the civilization of deities, the human beings with pure consciousness of the self. In these next twenty years, Americans and Russians will engage in World War III. Along with that the calamities will last for 7 years to bring one land and see, with just about 900000 population. This is a fun time for all those souls which deeply feel the stench of moral and spiritual depravity in the current consciousness. Haven’t a PayPal account yet John, so will try before month end July.